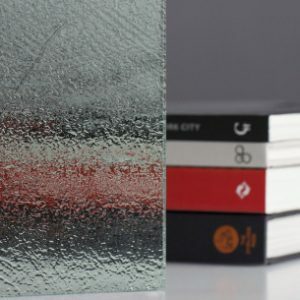 Ordinary glass is prone to damage and aging from hard water, soap, humidity and more. But ShowerGuard glass is extraordinary. It’s an entirely different kind of glass that’s protected during manufacturing with a patented ion beam process. This technology permanently seals the glass surface, for a shower that stays beautiful forever with just a minimal amount of cleaning. Guardian ShowerGuard’s patented technology helps keep minerals, scale and soap scum from sticking. A soft cloth or wet sponge and most common household cleaners are all you need for periodic maintenance. A clean water rinse should follow the use of any of these products. Please follow the manufacturer’s printed instructions for the products listed above. Note that some cleaning products may not be safe on uncoated glass surfaces, metal, tile, marble, brass or other materials. • Immediately remove any construction/installation materials, such as concrete, silicone, paint, labels, or tape. • Avoid abrasive cleaners (such as Ajax, Comet, rouge, cerium oxide). 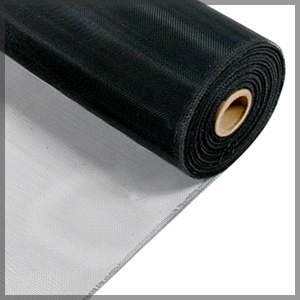 • Hydrofluoric and phosphoric acid are corrosive to the coating and glass surfaces and should not be used. • Do not use abrasive brushes, razor blades or other sharp objects which may scratch the coating or glass. What is Warranted and For How Long? When registered as required below, installed as part of an indoor shower enclosure and regularly maintained according to Guardian Industries Corp.’s recommendations according to water type, Guardian ShowerGuard glass is warranted to the Original End-user Customer to be free from visible staining, corrosion, or discoloration under normal use for 10 years from the date of purchase. 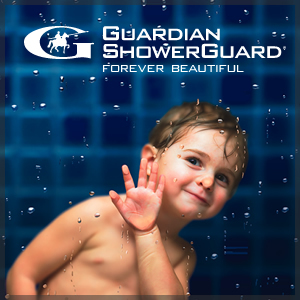 Liability under this Limited Warranty is limited, at Guardian’s exclusive option, to Guardian furnishing replacement ShowerGuard glass or refunding the difference in the Original End-user Customer’s purchase price between ShowerGuard glass and standard glass, up to a maximum of $10.00 per square foot. In the event Guardian furnishes replacement ShowerGuard glass, the warranty period on such replacement glass will extend only for the balance of the warranty period that was remaining on the original glass at the time of notice of the warranty claim to Guardian. Except where prohibited by state law, this Limited Warranty extends only to the Original End-user Customer and is non-transferable. “Original End-user Customer” means the original purchaser of ShowerGuard who installs the product in the purchaser’s residence or other property, or one who contracts through a remodeler or contractor for the original purchase and installation of ShowerGuard for his residence or other property, or the first buyer of a property that contains ShowerGuard as a new installation. This Limited Warranty applies to ShowerGuard purchases after January 1, 2010. For warranty coverage for purchases before that date, please contact Guardian ShowerGuard Customer Service at the address below or through www.showerguardglass.com. 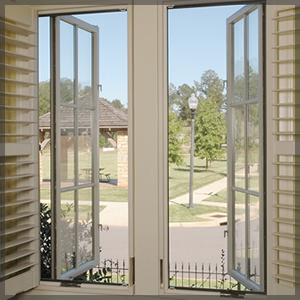 To obtain coverage under this Limited Warranty, Original End-user Customers must register their purchases online at www.showerguardglass.com within 90 days of purchase, except where state law prohibits requiring registration. Customers should retain a copy of the online purchase registration page along with their invoice. Although registration is recommended for all purchases to insure best customer service, purchasers in California and elsewhere where requiring registration is prohibited by law are not required to register to obtain warranty coverage and failure to do so will not diminish their warranty rights. To make a claim under this Limited Warranty, call 800-521-9461. Guardian Industries Corp. must authorize any product returns. This Limited Warranty does not cover scratches, chips, breakage, or claims for glass that has been discarded or destroyed before an authorized Guardian representative has inspected it. This Limited Warranty is void if the ShowerGuard glass is damaged by accident, improper use, failure to follow Guardian recommended cleaning, installation, or handling procedures, or other causes outside Guardian’s control, or if the product is altered in any way. This Limited Warranty does not cover labor charges or other costs relating to removal or reinstallation of either the original ShowerGuard glass or replacement glass. Any warranties implied by law are limited to the duration of the 10 year Limited Warranty. Except for the Limited Warranty stated here, there are no express or implied warranties of any kind and no warranties of merchantability or fitness for particular purpose, and no warranty shall be implied by operation of law or otherwise. In no event shall Guardian be liable for indirect, special, incidental, or consequential damages of any kind, even if such damages are foreseeable and even if Guardian has been advised of the possibility of such damages. Some states do not allow limitations on implied warranties, limitations on how long an implied warranty lasts, limitations on transferability, and/or the limitation or exclusion of incidental or consequential damages, so the above limitations or exclusions may not apply to you. This Limited Warranty gives you specific legal rights, and you may also have other rights that vary from state to state. Website by inbound marketing agency, protocol80, Inc.
We ship to Northeast US.